I haven’t been thrifting much lately. No runs to estate or rummage sales. But I have gone a few times to my neighborhood Goodwill because it’s so darn convenient. 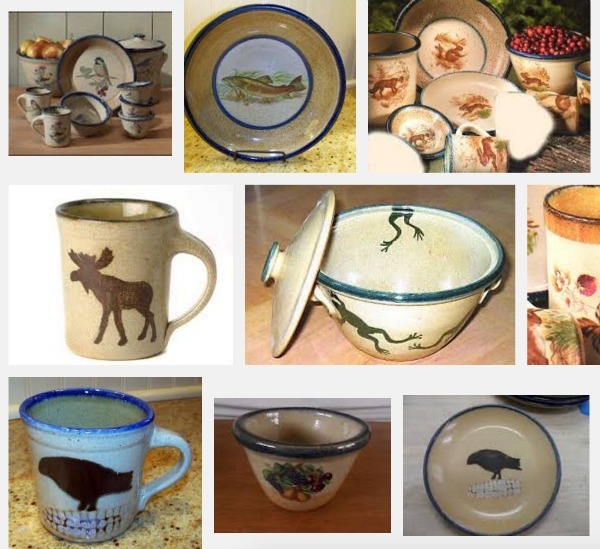 These are some of the images for Monroe Salt Works that show up when you do a Google search. Love the crows eating the corn. Alas, when I got the plate home I realized I had missed seeing a mark on the front of the plate that had been made with permanent marker. Nuts! Well, that’s no good then. A few days later I took the plate back knowing I would need to find something of equal value for exchange. I was pretty sure I could come up with $3.99 worth of goods! 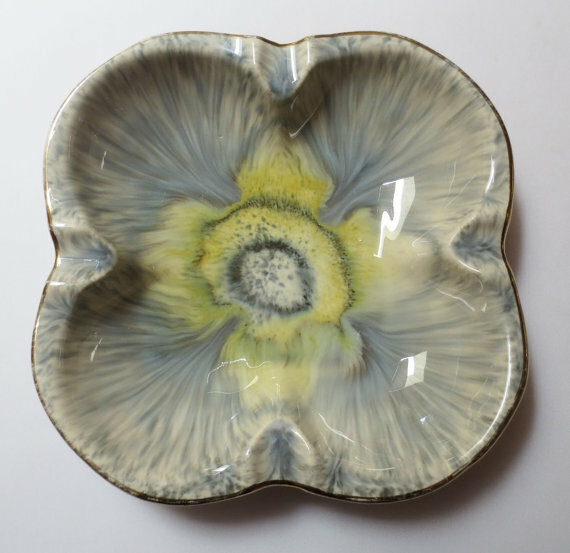 I almost bought three terracotta escargot dishes by Emile Henry, France, at $2.89 each. They looked unused. And then I came to my senses. Escargot dishes? Of course they’re unused!! I put them back. I also considered a huge, heavy Italian pasta dish that was 24″ wide, but at $25.69 it was just too crazy expensive. I mean, honestly! But at $3.19, I still needed to find something else for my exchange. There was a ton of Christmas stuff on the shelves so I spent a lot of time trying to find anything vintage. Okay, anything vintage that wasn’t damaged. I nixed the brass reindeer missing an antler! And then I found this little wood, hand-painted Father Christmas ornament also put out the day before. Probably not vintage, but appealing none the less. He even has a sweetly painted face. (And is it just me, or is Father Christmas rather cute?!) Looks very Russian to me. This one I’m keeping! And at $1.09, my exchange was complete. So just a few things. No home runs, but a few bread-and-butter finds. I follow a number of resellers through various social media and some are quite negative about thrift stores and Goodwill tends to get bashed a lot. But honestly, despite the plethora of junk, the occasional wonky high prices and the picker competition, I do find some nice things at reasonable prices. You have to go often and look thoroughly. 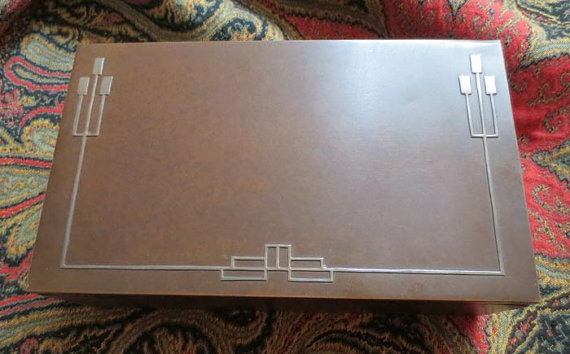 A great arts and crafts bronze cigar humidor from the HEINTZ Art Metal Shop, Buffalo, NY. Circa 1912. The decorative bits on the front are sterling silver. I won this in an eBay auction a few years back. It was one of those things that cost a bit, but I knew was worth a lot more. It’s been in my store for two years (definitely a long-tail item) and finally sold. Worth the wait as not only have I enjoyed having it, but when all is said and done I’ll make about $170 profit. 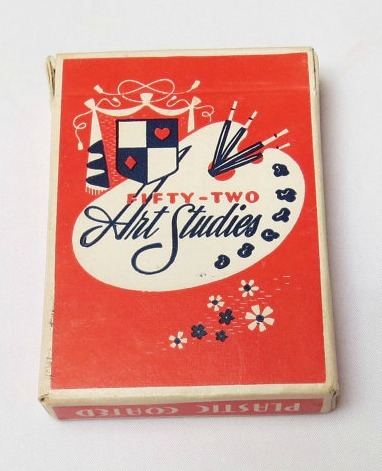 And then there are the Art Studies playing cards. I bought these at a yard sale this summer for 50 cents. Circa 1950s/1960s they feature women demurely posing in the “altogether.” These sold for $45. 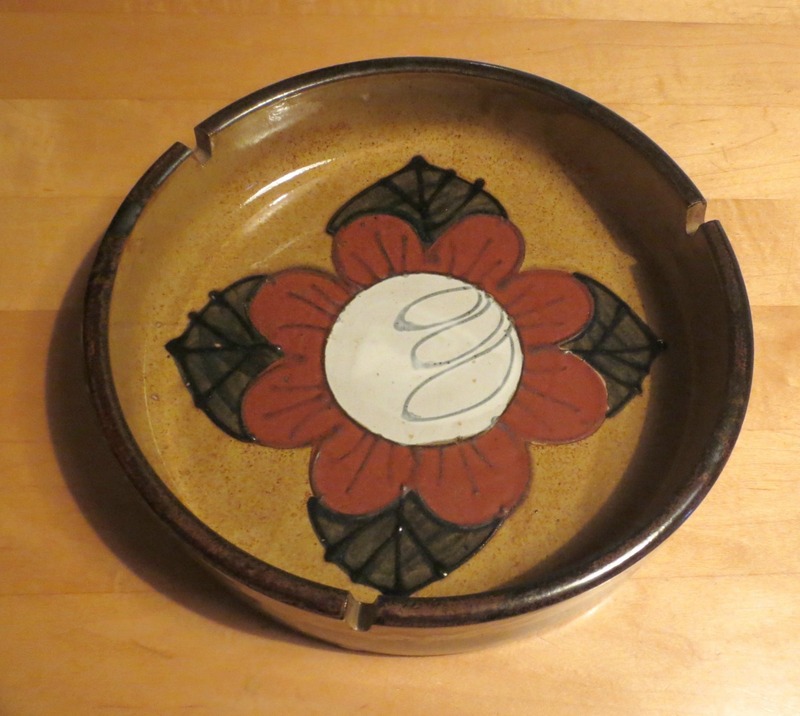 Another yard sale find, I bought this vintage West German ashtray for $4.00 and sold it for $20.00. It’s insanely large and fabulous and I’m glad it’s found a new home. How about you? Any fun vintage finds?? Love that Pierkenhammer plate. Gorgeous. I know absolutely nothing about china. You’ve inspired me to look at stuff more carefully. 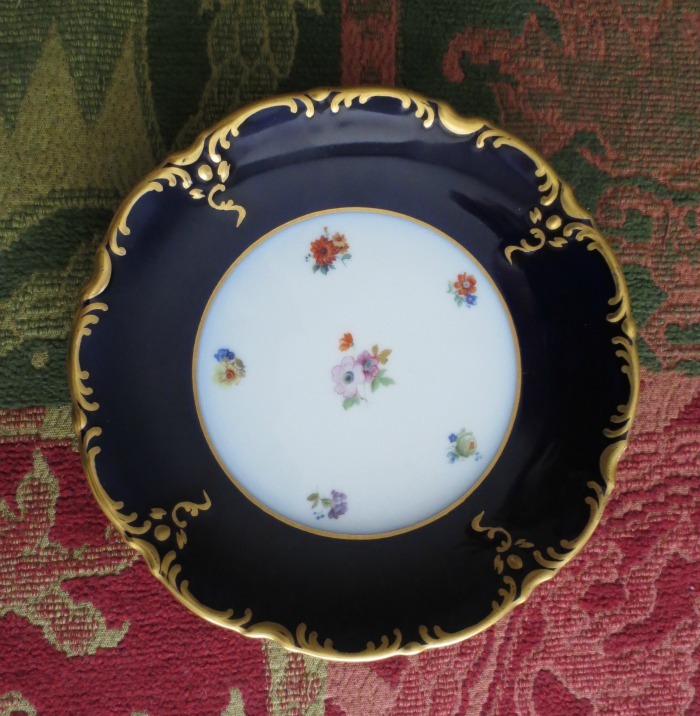 I do have a vintage china set I found last year that I bought only because I really liked it, not because it’s worth anything. LOL.